Think a joint bank account will be the solution if incapacity strikes? Think Again! Many of us wrongly assume that if we have money in a joint account with our spouse, partner child or even business partners then they can still access the funds if we were to lose capacity. 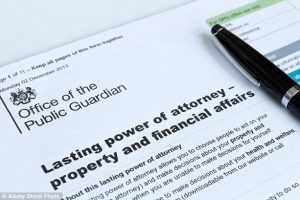 Unfortunately, this is not the case and is one of the most crucial reasons for making a Lasting Power of Attorney. 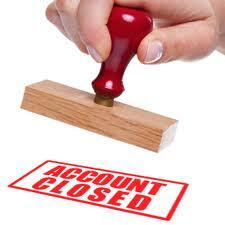 As soon as a bank learns of an account holder’s incapacity they will almost always freeze the account regardless of whether the account is held in sole name or joint names. The main reason is because the account holder who has lost capacity is no longer able to consent to any funds being withdrawn by the other joint account holders. The only way the bank account, or any other property, can be managed is if that person has given a Power of Attorney. Without one an application to the Court of Protection will need to be made which is both very expensive and time consuming. As well as a financial Power of Attorney there is also a Health & Welfare Lasting Power of Attorney to deal with the medical professionals. Both are invaluable. I like to compare a Lasting Power of Attorney to an insurance policy. The best scenario is that you never need it and it will be stored away never to be used. However, if you were ever to lose capacity, your Lasting Powers of Attorney are the most valuable tools to ensure that you are properly looked after by your loved ones. It is also important to remember that losing capacity is not always a permanent condition like dementia. Losing capacity can also be temporary like following accident or illness.